Everyday Storyteller 2 is a brand new idea book offering more than 100 tips, tricks and techniques for scrapbooking. Go behind the scenes with 33 of your favorite memory keepers to see how they capture moments, tell stories and document their best memories. Sign up for the VIP list to be the first to know when the book is released and receive an exclusive discount. Plus, get a chance to win from over $1,400 in prizes! 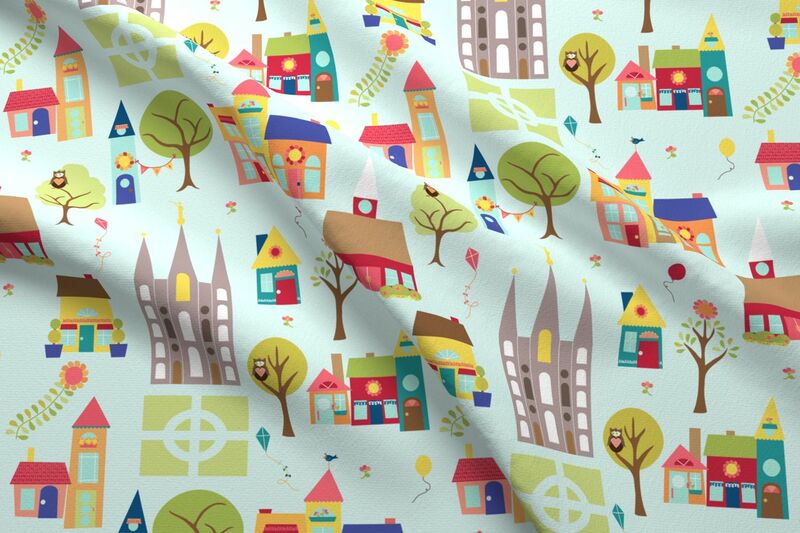 Here on my blog, I share printables and projects I create for primarily the LDS (Mormon) community. I also have occasional posts about Photoshop, digital scrapbooking and fonts. If you’re interested in these areas, take some time to poke around. If you like what you see, don’t forget to follow my blog on Facebook or via email (sign up in the right-hand column). If you do, I’ll send you a FREE GIFT in addition to the freebie I’m offering today! You can find the free gift on my Facebook page under the Welcome tab. Email followers will receive download links to the gift in their in-boxes. NOTE: This free gift is in addition to the download below. 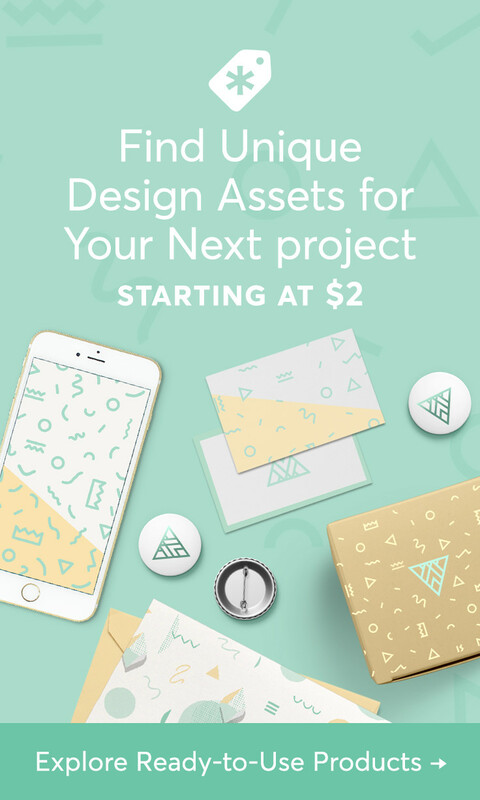 Now, for my ES2 Blog Hop Freebie download! Four high-resolution jpegs of each journal card. Use these on digital scrapbook pages. One pdf file. Load your printer with cardstock or photo paper and print page 2 of the pdf using the highest-quality setting. Then, cut out the cards and slip into a Project Life page protector or use on a paper scrapbook page or as a gift tag. Four print-quality jpeg files sized for printing at Persnickety Prints. Yes, you can have these journaling cards professionally printed using Persnickety Prints amazing photo papers or cardstock–and they cost just 19 cents each.Kami Leonard (one of our amazing ES2 contributors) gave me a few samples of journaling cards printed by Persnickety Prints. One look at them and I was in LOVE and had to share! So you can get your own, I used Wendyzine Scraps Journal Card Action on my freebie journaling cards to make it quick and easy for you to have them printed by Persnickety Prints. Wendy’s action added bleed and sized the cards so they are ready to go, just upload and order! 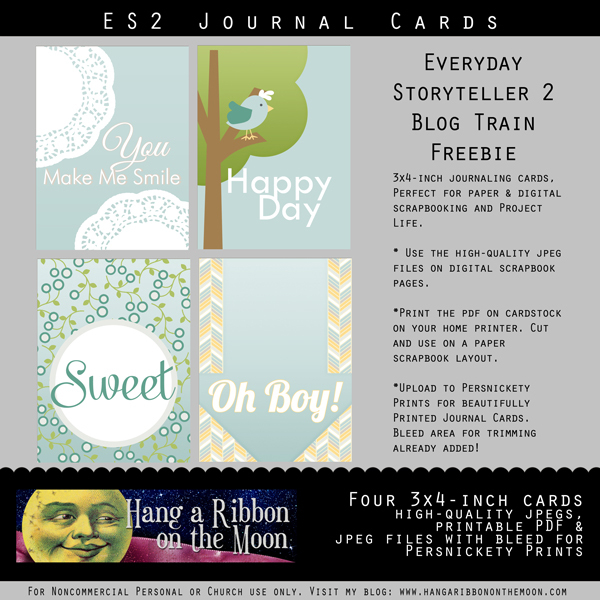 Download my Everyday Storyteller 2 Freebie Journaling Cards here. Remember, you will need to UNZIP the download before you can access the files. All of my files are for non-commercial personal or Church use only! DO NOT SHARE them in any way! Please, send your friends here to download their own. Thanks so much for stopping by my blog! I can’t wait to see you all at the Everyday Storyteller 2 launch party! Now, it’s time to stop by Jill Sprott’s blog for another chance to win and for more memory-keeping inspiration! Next The 2014 Mutual Theme Is Announced! Those cards are darling! Thank you so much! Really looking forward to ES Vol. 2! Thanks so much for the chance to win this great sounding book and for the nice journaling cards! thanks for the freebies, am looking forward to reading your part of the book! You’re welcome! My part was editing everyone else’s parts 🙂 and helping Jennifer behind the scenes. Thank you very much for the freebies and I appreciate the chance to win a book. I hope I am one of the lucky ones!